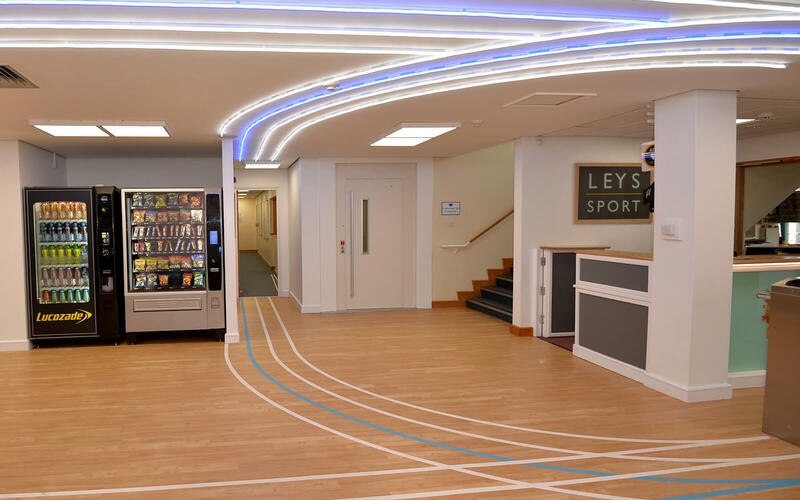 Loci Interiors were asked to give the Leys Sports Centre a dynamic new lease of life. The excellent facilities were available for private hire as well as the school’s use but the original dark, claustrophobic lobby did not showcase what was on offer. 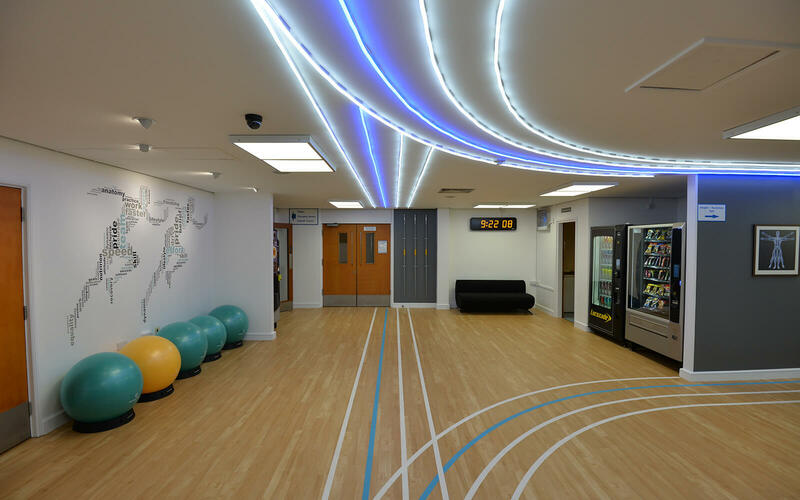 The new scheme incorporated LED ‘neon flex’ lighting to re-imagine the space as a contemporary running track, with stadium timing clock, Pilates seating and active manifestations. 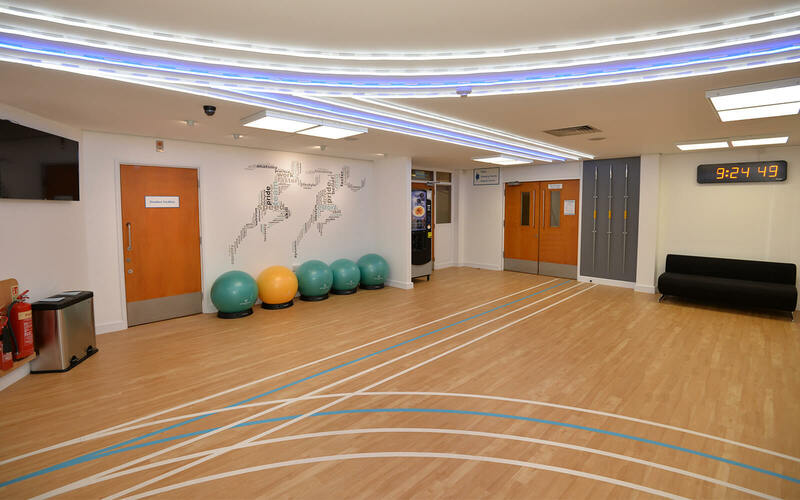 A modern space fit for future athletes.